Growing up in this virtuous environment, he began learning how to read with Hakim Abd al-Rahman of Muzaffarnagar. He memorized the Qur’an with his father and also studied books in Persian and the introductory Arabic books with his uncle Shaykh Muhammad Ilyas (founder of the Tabligh movement). He stayed with his father in the company of Shaykh Gangohi until age eight, when the shaykh passed away. At the age of twelve, Shaykh Zakariyya traveled with his father to Mazahir Ulum, There, under his father, he advanced his study of Arabic, tackling many classical texts on Arabic morphology, grammar, literature and also logic. But by the time he was seventeen, hadith became the main focus of his life. He studied five of the six authentic books of hadith with his father, and then he studied Sahih al-Bukhari and Sunan al-Tirmidhi (for a second time) with honorable Shaykh Khalil Ahmad Saharanpuri. Out of his immense respect for hadith, Shaykh Zakariyya was extremely particular about always studying the hadith narrations with wudu‘. On Dhu ‘l-Qa’da 10, 1334 AH, when Shaykh Zakariyya was just nineteen, his dear father passed away. This event was extremely traumatic for Shaykh Zakariyya, as he lost not only a father but also a teacher and mentor. His deep sorrow remained with him for the rest of his life. Shaykh Zakariyya was blessed to live and learn in an era considered by many to be one of great achievements in Islamic knowledge by scholars in the Indian subcontinent. He studied with few but select teachers who reached the highest levels of learning, research, authorship, and piety. In addition to his father (Shaykh Muhammad Yahya) and uncle (Shaykh Muhammad Ilyas), he studied under the hadith scholar Khalil Ahmad Saharanpuri, author of the Badhl al-Majhud, a commentary of Sunan Abi Dawud. Shaykh Zakariyya acquired a hadith authorization from him and remained his student until Shaykh Khalil’s death in Madina Munawwara in 1346 AH. 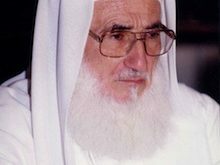 Before his death, Shaykh Khalil Ahmad expressed his desire to write Badhl al-Majhud, and he sought Shaykh Zakariyya’s assistance as his right-hand man. This experience revealed Shaykh Zakariyya’s gift of penmanship and, furthermore, expanded his insight in the science of hadith. He worked hard on the project, attained the pleasure and trust of his shaykh, and was even mentioned by name in the commentary. This indeed opened the door to Shaykh Zakariyya’s authoring many literary works and treatises over the course of his life. In 1345 AH he traveled to Madina Munawwara, the city of Allah’s Messenger (SallAllahu alahi wasallam), where he resided for one year. There he taught Sunan Abi Dawud at Madrasa al-Ulum al-Shar’iyya. While in Madina, he began working on Awjaz al-Masalik ila Muwatta Imam Malik, a commentary on Imam Malik’s Muwatta. He was twenty-nine at the time. When he returned to India, he resumed teaching at Mazahir Ulum. He began teaching Sunan Abi Dawud, Sunan al-Nasai, the Muwatta of Imam Muhammad, and the second half of Sahih al-Bukhari. The school’s principle taught the first half of Sahih al-Bukhari, and after his death, Shaykh Zakariyya was given the honor of teaching the entire work. Allah blessed him with the opportunity to visit the two holy cities of Makka and Madina. He performed hajj several times, and his multiple trips had a profound personal effect on him, both spiritually and educationally. He made the blessed journey with Shaykh Khalil Ahmad in 1338 AH and with him again in 1344. It was during the second trip that Shaykh Khalil completed Badhl al-Majhud; he died shortly thereafter and was buried in the Baqi’ graveyard in Madina. May Allah have mercy on him and put light in his grave. Shaykh Muhammad Zakariyya inherited piety, honesty, and good character from his father (may Allah be pleased with him). He aspired to follow the Qur’an and Sunnah in all matters, big and small, with a passion not found in many scholars. He had extreme love for the Prophet (SallAllahu alahi wasallam) and the blessed city of Madina. His students have related that whenver the death of the Messenger (SallAllahu alahi wasallam) was mentioned during a lecture on Sunan Abi Dawud or Sahih al-Bukhari, his eyes would well up with tears, his voice would choke up, and he would be overcome with crying. So evocative were his tears that his students could do nothing but weep with raised voices. Shaykh Muhammad Zakariyya was married twice. He first married the daughter of Shaykh Ra’uf al-Hasan in Kandhla. She passed away on Dhu ‘l-Hijja 5 1355 AH. He then married the daughter of Shaykh Muhammad Ilyas Kandhlawi in 1356 AH. Allah blessed him with five daughters and three sons from his first wife, and two daughters and one son from his second marriage. Shaykh Zakariyya organized his time meticulously. He would rise an hour before dawn and occupy himself in tahajjud and recitation of Qur’an before performing the Fajr prayer in the masjid. After Fajr, he would read his morning supplications and litany until sunrise. Thereafter he would go to meet with some people and drink tea (but never ate anything with it). He would then return to his quarters to read. During this time he would also research and compile his literary works, and, with few exceptions, no one was allowed to visit him at this time. When it was time for lunch he would come out and sit with his guests, who were from all walks of life; he would respect and treat them well, irrespective of who they were. After Zuhr prayer, he would take a siesta and then spent some time listening to his correspondence (which amounted to around forty or fifty letters daily from different places) and dictating replies. He also taught for two hour before ‘Asr. After ‘Asr, he would sit with a large group of people, offering them tea. After performing Maghrib, he would remain devoted in solitude to optional prayer and to supplication. He did not take an evening meal except to entertain an important guest. He had always hoped to meet Allah while in the city of the Messenger (SallAllahu alahi wasallam); Allah granted his wish. He died there on Monday Sha’ban 1, 1402 AH (May 24, 1982 CE) and was buried in Jannat al-Baqi’, in the company of the Companions and the noble family members of the Messenger (SallAllahu alahi wasallam). His funeral procesion was followed by a large number of people and he was buried in the Baqi’ graveyard next to his teacher Shaykh Khalil Ahmad Saharanpuri. May Allah forgive him, grant mercy, and elevate his status. Amin. It is evident to one who take a look at his works that he had a brilliancy, both in knowlege and with the pen, like that of Ibn al-Jawzi and Imam Ghazali. Of the scholars of his era I know of no one comparable to him in this regard, except Imam ‘Abd al-Hayy al-Farangi Mahalli (of Lucknow). When he reports the ruling and evidences of the Maliki school [in his writings], we Malikis are astonished at the accuracy and integrity of the report…. If the author had not mentioned in the introduction of [his] book that he was a Hanafi, I would not have known that he was Hanafi, but would have definately concluded that he was a Maliki, since in his Awjaz he cites by-laws and derivatives of the Maliki school from there books that even we have a hard time obtaining. Shaykh Zakariyya had numerous students who spread around the world and continue, to this day, to serve Islam, particularly establishing traditional Islamic schools in India, Pakistan, Bangladesh, England, Canada, America, South Africa, Zambia, Zimbabwe, and other countries. Some of his more prominent students in the field of hadith were Muhaddith Muhammad Yusuf Kandhlawi (d. 1384 AH), author of Amani ‘l-Ahbar Sharh Ma’ani ‘l-Athar, Shaykh ‘Abd al-Jabbar A’zami, author of Imdad al-Bari (Urdu commentary on Sahih al-Bukhari), and Mufti Mahmud Hasan Gangohi (d. 1417 AH). Many other scholars and students also acquired authorizations in hadith from him, including Dr. Mustafa’ al-Siba’i, Shaykh ‘Abd al-Fattah Abu Ghudda, Dr. Muhammad ‘Alawi al-Maliki and Shaykh Muhammad Taha al-Barakati. His first written work was a three volume commentary of the Alfiyya ibn Malik (on arabic grammar), which he wrote as a student when he was only thirteen. His written works amount to over one hundred. He did not withhold any rights to his works and made it publicly known that he only published his works for the sake of Allah’s pleasure. Whoever wished to publish them was permitted to, on the condition that they were left unaltered and their accuracy maintained. Hence, his books have gained overwhelming acceptance througout the world, so much so that his work Fada’il al-Qur’an [Virtues of the Qur’an] has been translated into eleven languages, Fada’il Ramadan [Virtues of Ramadan] into twelve languages, and Fada’il al-Salat [Virtues of Prayer] into fifteen languages. He wrote four books on Qur’an commentary [tafsir] and proper recitation [tajwid], forty-four books on hadith and its related sciences, six books on jurisprudence [fiqh] and its related sciences, twenty-four historical and biographical books, four books on Islam creed [aqida], twelve books on abstinence [zuhd] and heart-softening accounts [riqaq], three books in Arabic grammar and logic, and six books on modern-day groups and movements. Awjaz al-Masalik ila Muwatta’ Imam Malik: One of the most comprehensive commentaries on the Muwatta of Imam Malik in terms of the science of hadith, jurisprudence, and hadith explication. Shaykh Zakariyya provides the summaries of many other commentaries in a clear, intellectual, and scholarly way, dealing with the various opinons on each issue, mentioning the differences of opinions among the various scholars, and comparing their evidences. This commentary, written in Arabic, has won great acclaim from a number of Maliki scholars. Lami’ al-Dirari ‘ala Jami’ al-Bukhari: Written in Arabic, a collection of the unique remarks and observations on Sahih al-Bukhari presented by Shaykh Rashid Ahmad Gangohi. These life-long acquired wisdoms were recorded by his student Shaykh Yahya Kandhlawi (Shaykh Zakariyya’s father) during their lessons. Shaykh Zakariyya edited, arranged, and commented on his fathers compilation, clarifying the text and adding a comprehensive introduction at the beginning. Al-Abwab wa ‘l-Tarajim li ‘l-Bukhari: An explanation of the chapter headings of Imam Bukhari’s Sahih al-Bukhari. Assigning chapter headings in a hadith collection is a science in itself, known among the scholars as al-abwab wa ‘l-tarajim [chapters and explanations]. In it, the compiler explains the reasons for the chapter heading and the connections between the chapter headings and the hadiths quoted therein. It is well known that the commentators of Sahih al-Bukhari have paid special attention to the titles therein, in tune with the Arabic saying: “The fiqh of Bukhari is in his chapter headings” [fiqh al-Bukhari fi tarajimihi]. Shaykh Zakariyya not only quotes and compiles what has been mentioned by other scholars like Shah Wali Allah al-Dehlawi and Ibn Hajar al-’Asqalani, but also correlates and clarifies these opinions and presents findings from his own research in many instances. Juz’ Hajjat al-Wida’ wa ‘Umrat al-Nabi (SallAllahu alahi wasallam): A comprehensive Arabic commentary on the detailed accounts of the pilgrimage [hajj] of Allah’s Messenger (SallAllahu alahi wasallam). It includes the details of any juridical discussions on the various aspects of pilgrimage, giving the locations, modern-day names, and other details of the places the Messenger of Allah (SallAllahu alahi wasallam) passed by or stayed at. Khasa’il Nabawi Sharh Shama’il al-Tirmidhi: Composed in urdu, a commentary on Imam Tirmidhi’s renowned work al-Shama’il al-Muhammadiyya, a collection of hadiths detailing the characteristics of the Messenger (SallAllahu alahi wasallam). This commentary explains the various aspects related to the different characteristics and practices of Allah’s Messenger (SallAllahu alahi wasallam). It has been translated into English and is widely available. Excerpted from “The Differences of the Imams” by Shaykh al-Hadith Muhammad Zakariyya Kandhlawi. In the last century, India has undoubtedly become an important center for the study of hadith, and the scholars of India have become well-known for their passion for religious knowledge. Upon them ended the era of leadership in teaching hadiths, codification of the special fields [funun] of hadith, and commentary upon its texts [mutun]. Such was their mastery of this science that Muhammad Rashid Rida mentions in the introduction of his book Miftah Kunuz al-Sunnah, “Were it not for the superb attention to detail in the science of hadith displayed by our brothers, the scholars of India in the present era, this science would have withered away in the eastern cities. And, indeed, mastery of this science has been waning in Egypt and Syria since the tenth century AH.” There is no doubt that Shaykh Muhammad Zakariyya was among the most distinguished hadith scholars of India and a great contributor in the service of the Sunnah. He was given the honorary title of Shaykh al-Hadith, or “Great Scholar of Hadith,” by his teacher, Shaykh Khalil Ahmad Saharanpuri, who recognized his deep insight, clear-sightedness, and extensive knowledge of hadith and related sciences. Lineage and UpbringingHe was born in the village of Kandhla (in Uttar Pradesh, India) on Ramadan 10, 1315 AH (February 12, 1898 CE). His full name was Muhammad Zakariyya ibn Muhammad Yahya ibn Muhammad Ismail, and his lineage continues all the way back to Abu Bakr, the great Companion of the Messenger (SallAllahu alaihi wasallam).Shaykh Abu al-Hasan Nadwi said about him, “Shaykh Muhammad Zakariyya was born into a household rooted in knowledge and passion for Islam. His immediate family and his predecessors were distinguished by firm resolve, perseverance, steadfastness, and adherence to religion…. His family included many notable scholars… and his grandmother memorized the entire Qur’an while nursing her son [Shaykh Zakariyya’s father].”His father, Shaykh Muhammad Yahya, was among the great scholars of India, whose primary teacher in hadith was Shaykh Rashid Ahmad Gangohi. Under him he studied Sahih al-Bukhari, Jami al-Tirmidhi, and others of the six famous authentic books of hadith [sihah sitta]. Shaykh Yahya went on to teach at Madrasa Mazahir Ulum, in the district of Saharanpur, but did not accept any payment for his services. He instead made his living through his own book-publishing business.As a young boy, Shaykh Zakariyya moved with his father to the village of Gangoh, in the district of Saharanpur. Since his father and Shaykh Gangohi had a close relationship, Shaykh Zakariyya quickly earned the affection of his father’s teacher.Growing up in this virtuous environment, he began learning how to read with Hakim Abd al-Rahman of Muzaffarnagar. He memorized the Qur’an with his father and also studied books in Persian and the introductory Arabic books with his uncle Shaykh Muhammad Ilyas (founder of the Tabligh movement). He stayed with his father in the company of Shaykh Gangohi until age eight, when the shaykh passed away.At the age of twelve, Shaykh Zakariyya traveled with his father to Mazahir Ulum, There, under his father, he advanced his study of Arabic, tackling many classical texts on Arabic morphology, grammar, literature and also logic. But by the time he was seventeen, hadith became the main focus of his life. He studied five of the six authentic books of hadith with his father, and then he studied Sahih al-Bukhari and Sunan al-Tirmidhi (for a second time) with honorable Shaykh Khalil Ahmad Saharanpuri. Out of his immense respect for hadith, Shaykh Zakariyya was extremely particular about always studying the hadith narrations with wudu‘.On Dhu ‘l-Qa’da 10, 1334 AH, when Shaykh Zakariyya was just nineteen, his dear father passed away. This event was extremely traumatic for Shaykh Zakariyya, as he lost not only a father but also a teacher and mentor. His deep sorrow remained with him for the rest of his life.TeachersShaykh Zakariyya was blessed to live and learn in an era considered by many to be one of great achievements in Islamic knowledge by scholars in the Indian subcontinent. He studied with few but select teachers who reached the highest levels of learning, research, authorship, and piety. In addition to his father (Shaykh Muhammad Yahya) and uncle (Shaykh Muhammad Ilyas), he studied under the hadith scholar Khalil Ahmad Saharanpuri, author of the Badhl al-Majhud, a commentary of Sunan Abi Dawud. Shaykh Zakariyya acquired a hadith authorization from him and remained his student until Shaykh Khalil’s death in Madina Munawwara in 1346 AH.Before his death, Shaykh Khalil Ahmad expressed his desire to write Badhl al-Majhud, and he sought Shaykh Zakariyya’s assistance as his right-hand man. This experience revealed Shaykh Zakariyya’s gift of penmanship and, furthermore, expanded his insight in the science of hadith. He worked hard on the project, attained the pleasure and trust of his shaykh, and was even mentioned by name in the commentary. This indeed opened the door to Shaykh Zakariyya’s authoring many literary works and treatises over the course of his life.Teaching CareerIn Muharram 1335 AH he was appointed as a teacher at Madrasa Mazahir Ulum, where he was assigned to teach books on Arabic grammar, morphology, and literature, as well as a number of primary texts of Islamic jurisprudence. In 1341 AH he was assigned to teach three sections of Sahih al-Bukhari upon the insistence of Shaykh Khalil Ahmad. He also taught Mishkat al-Masabih until 1344 AH. Shaykh Abu al-Hasan Nadwi said, “Although he was one of the youngest teachers at the school, he was selected to teach works generally not assigned to those of his age, nor to anyone in the early stages of his teaching career. Nevertheless, he showed that he was not only able, but an exceptional teacher.”In 1345 AH he traveled to Madina Munawwara, the city of Allah’s Messenger (SallAllahu alahi wasallam), where he resided for one year. There he taught Sunan Abi Dawud at Madrasa al-Ulum al-Shar’iyya. While in Madina, he began working on Awjaz al-Masalik ila Muwatta Imam Malik, a commentary on Imam Malik’s Muwatta. He was twenty-nine at the time.When he returned to India, he resumed teaching at Mazahir Ulum. He began teaching Sunan Abi Dawud, Sunan al-Nasai, the Muwatta of Imam Muhammad, and the second half of Sahih al-Bukhari. The school’s principle taught the first half of Sahih al-Bukhari, and after his death, Shaykh Zakariyya was given the honor of teaching the entire work.In all, he taught the first half of Sahih al-Bukhari twenty-five times, the complete Sahih al-Bukhari sixteen times, and Sunan Abi Dawud thirty times. He did not just teach hadith as a matter of routine; the work of hadith had become his passion, and he put his heart and soul into it. Shaykh Zakariyya taught until 1388 AH, when he was forced to give up teaching after developing eye cataracts.Travels to the Two Holy CitiesAllah blessed him with the opportunity to visit the two holy cities of Makka and Madina. He performed hajj several times, and his multiple trips had a profound personal effect on him, both spiritually and educationally. He made the blessed journey with Shaykh Khalil Ahmad in 1338 AH and with him again in 1344. It was during the second trip that Shaykh Khalil completed Badhl al-Majhud; he died shortly thereafter and was buried in the Baqi’ graveyard in Madina. May Allah have mercy on him and put light in his grave.Sincere Love for Allah and the Prophet (SallAllahu alahi wasallam)Shaykh Muhammad Zakariyya inherited piety, honesty, and good character from his father (may Allah be pleased with him). He aspired to follow the Qur’an and Sunnah in all matters, big and small, with a passion not found in many scholars. He had extreme love for the Prophet (SallAllahu alahi wasallam) and the blessed city of Madina. His students have related that whenver the death of the Messenger (SallAllahu alahi wasallam) was mentioned during a lecture on Sunan Abi Dawud or Sahih al-Bukhari, his eyes would well up with tears, his voice would choke up, and he would be overcome with crying. So evocative were his tears that his students could do nothing but weep with raised voices.He was often tested with regard to his sincerity. He was offered many teaching jobs at two or three times the salary that was customarily given at Mazahir ‘Ulum, but he always graciously declined the offers. For most of his teaching career, Shaykh Zakariyya never accepted any money for his services at Mazahir ‘Ulum; he did the work voluntarily, seeking Allah’s pleasure. Although he did accept a small salary at the beginning of his career, he later totaled up the amount and paid it back in its entirety.HousehouldShaykh Muhammad Zakariyya was married twice. He first married the daughter of Shaykh Ra’uf al-Hasan in Kandhla. She passed away on Dhu ‘l-Hijja 5 1355 AH. He then married the daughter of Shaykh Muhammad Ilyas Kandhlawi in 1356 AH. Allah blessed him with five daughters and three sons from his first wife, and two daughters and one son from his second marriage.Daily RoutineShaykh Zakariyya organized his time meticulously. He would rise an hour before dawn and occupy himself in tahajjud and recitation of Qur’an before performing the Fajr prayer in the masjid. After Fajr, he would read his morning supplications and litany until sunrise. Thereafter he would go to meet with some people and drink tea (but never ate anything with it). He would then return to his quarters to read. During this time he would also research and compile his literary works, and, with few exceptions, no one was allowed to visit him at this time. When it was time for lunch he would come out and sit with his guests, who were from all walks of life; he would respect and treat them well, irrespective of who they were. After Zuhr prayer, he would take a siesta and then spent some time listening to his correspondence (which amounted to around forty or fifty letters daily from different places) and dictating replies. He also taught for two hour before ‘Asr. After ‘Asr, he would sit with a large group of people, offering them tea. After performing Maghrib, he would remain devoted in solitude to optional prayer and to supplication. He did not take an evening meal except to entertain an important guest.PersonalityShaykh Abu ‘l-Hasan ‘Ali Nadwi says about his characteristics, “He was extremely vibrant, never lazy; light-hearted, smiling, cheerful, friendly; and he often jested with his close friends and acquaintances. We saw in him good character and forbearance with people, as well as a rare humilty; and above all, his personal qualities were always governed by his deep faith and sense of contentment.”DeathHe had always hoped to meet Allah while in the city of the Messenger (SallAllahu alahi wasallam); Allah granted his wish. He died there on Monday Sha’ban 1, 1402 AH (May 24, 1982 CE) and was buried in Jannat al-Baqi’, in the company of the Companions and the noble family members of the Messenger (SallAllahu alahi wasallam). His funeral procesion was followed by a large number of people and he was buried in the Baqi’ graveyard next to his teacher Shaykh Khalil Ahmad Saharanpuri. May Allah forgive him, grant mercy, and elevate his status. Amin.Scholars’ Praise of HimMany scholars, both Arab and non-Arab, have praised him and recognized his knowlege and excellence. ‘Allama Muhammad Yusuf Binnori relates,Indeed there are some remnants of the scholars of past generations living today among the scholars of todays generation. They have been guided to praiseworthy efforts in multiple religious sciences, such as jurisprudence; they are on par with the previous generations in their knowlege, excellence, fear of Allah, and piety; they stir up memories of the blessed golden age of scholarship. Among these scholars is a unique figure envied for his excellence in knowlege and action, the author of outstanding, beneficial works and of beautiful, superb commentaries: Shaykh Muhammad Zakariyya Kandhlawi Saharanpuri.Shaykh Sa’id Ahmad, the head of Islamic studies at the University of Aligarh, UP, relates,It is evident to one who take a look at his works that he had a brilliancy, both in knowlege and with the pen, like that of Ibn al-Jawzi and Imam Ghazali. Of the scholars of his era I know of no one comparable to him in this regard, except Imam ‘Abd al-Hayy al-Farangi Mahalli (of Lucknow).Shaykh Abu ‘l-Hasan ‘Ali Nadwi relates that Shaykh ‘Alawi al-Maliki said,When he reports the ruling and evidences of the Maliki school [in his writings], we Malikis are astonished at the accuracy and integrity of the report…. If the author had not mentioned in the introduction of [his] book that he was a Hanafi, I would not have known that he was Hanafi, but would have definately concluded that he was a Maliki, since in his Awjaz he cites by-laws and derivatives of the Maliki school from there books that even we have a hard time obtaining.StudentsShaykh Zakariyya had numerous students who spread around the world and continue, to this day, to serve Islam, particularly establishing traditional Islamic schools in India, Pakistan, Bangladesh, England, Canada, America, South Africa, Zambia, Zimbabwe, and other countries. Some of his more prominent students in the field of hadith were Muhaddith Muhammad Yusuf Kandhlawi (d. 1384 AH), author of Amani ‘l-Ahbar Sharh Ma’ani ‘l-Athar, Shaykh ‘Abd al-Jabbar A’zami, author of Imdad al-Bari (Urdu commentary on Sahih al-Bukhari), and Mufti Mahmud Hasan Gangohi (d. 1417 AH). Many other scholars and students also acquired authorizations in hadith from him, including Dr. Mustafa’ al-Siba’i, Shaykh ‘Abd al-Fattah Abu Ghudda, Dr. Muhammad ‘Alawi al-Maliki and Shaykh Muhammad Taha al-Barakati.Written WorksShaykh Zakariyya wrote many works both in Arabic and Urdu. A number of them treat specialized subjects intented for scholars, and the rest have been written for the general public. His works demonstrate his deep knowlege and intelligence; his ability to undertand the issue at hand, research it thoroughly, and present a complete, clear and comprehensive discussion; his moderation, humility, patience, and attention to detail. His respect and awe for the pious predecessors are evident in his works, even when he disagrees with their opinions on any particular aspect.His first written work was a three volume commentary of the Alfiyya ibn Malik (on arabic grammar), which he wrote as a student when he was only thirteen. His written works amount to over one hundred. He did not withhold any rights to his works and made it publicly known that he only published his works for the sake of Allah’s pleasure. Whoever wished to publish them was permitted to, on the condition that they were left unaltered and their accuracy maintained.Hence, his books have gained overwhelming acceptance througout the world, so much so that his work Fada’il al-Qur’an [Virtues of the Qur’an] has been translated into eleven languages, Fada’il Ramadan [Virtues of Ramadan] into twelve languages, and Fada’il al-Salat [Virtues of Prayer] into fifteen languages. He wrote four books on Qur’an commentary [tafsir] and proper recitation [tajwid], forty-four books on hadith and its related sciences, six books on jurisprudence [fiqh] and its related sciences, twenty-four historical and biographical books, four books on Islam creed [aqida], twelve books on abstinence [zuhd] and heart-softening accounts [riqaq], three books in Arabic grammar and logic, and six books on modern-day groups and movements.Some of His Hadith WorksOne can find a complete list and description of his books in the various biographies written on him. Here is a brief description of a few of his more popular works on hadith:Awjaz al-Masalik ila Muwatta’ Imam Malik: One of the most comprehensive commentaries on the Muwatta of Imam Malik in terms of the science of hadith, jurisprudence, and hadith explication. Shaykh Zakariyya provides the summaries of many other commentaries in a clear, intellectual, and scholarly way, dealing with the various opinons on each issue, mentioning the differences of opinions among the various scholars, and comparing their evidences. This commentary, written in Arabic, has won great acclaim from a number of Maliki scholars.Lami’ al-Dirari ‘ala Jami’ al-Bukhari: Written in Arabic, a collection of the unique remarks and observations on Sahih al-Bukhari presented by Shaykh Rashid Ahmad Gangohi. These life-long acquired wisdoms were recorded by his student Shaykh Yahya Kandhlawi (Shaykh Zakariyya’s father) during their lessons. Shaykh Zakariyya edited, arranged, and commented on his fathers compilation, clarifying the text and adding a comprehensive introduction at the beginning.Al-Abwab wa ‘l-Tarajim li ‘l-Bukhari: An explanation of the chapter headings of Imam Bukhari’s Sahih al-Bukhari. Assigning chapter headings in a hadith collection is a science in itself, known among the scholars as al-abwab wa ‘l-tarajim [chapters and explanations]. In it, the compiler explains the reasons for the chapter heading and the connections between the chapter headings and the hadiths quoted therein. It is well known that the commentators of Sahih al-Bukhari have paid special attention to the titles therein, in tune with the Arabic saying: “The fiqh of Bukhari is in his chapter headings” [fiqh al-Bukhari fi tarajimihi]. Shaykh Zakariyya not only quotes and compiles what has been mentioned by other scholars like Shah Wali Allah al-Dehlawi and Ibn Hajar al-’Asqalani, but also correlates and clarifies these opinions and presents findings from his own research in many instances.Juz’ Hajjat al-Wida’ wa ‘Umrat al-Nabi (SallAllahu alahi wasallam): A comprehensive Arabic commentary on the detailed accounts of the pilgrimage [hajj] of Allah’s Messenger (SallAllahu alahi wasallam). It includes the details of any juridical discussions on the various aspects of pilgrimage, giving the locations, modern-day names, and other details of the places the Messenger of Allah (SallAllahu alahi wasallam) passed by or stayed at.Khasa’il Nabawi Sharh Shama’il al-Tirmidhi: Composed in urdu, a commentary on Imam Tirmidhi’s renowned work al-Shama’il al-Muhammadiyya, a collection of hadiths detailing the characteristics of the Messenger (SallAllahu alahi wasallam). This commentary explains the various aspects related to the different characteristics and practices of Allah’s Messenger (SallAllahu alahi wasallam). It has been translated into English and is widely available.Excerpted from “The Differences of the Imams” by Shaykh al-Hadith Muhammad Zakariyya Kandhlawi.